It has transformed the way businesses present fashion trends. 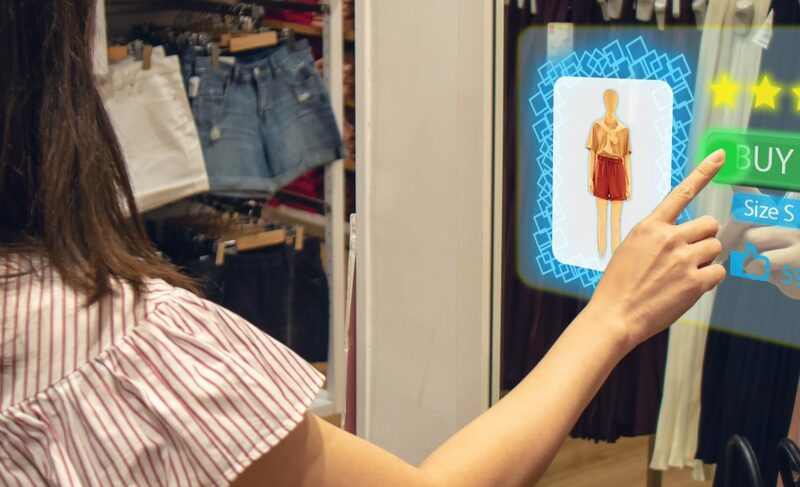 Surely, fashion hubs and brands will see a revolution that will enable them to see their business and client in a new light. Even ‘made to order’ will be simplified in a way that mass customization will eventually become no problem at all. Mixed Reality is the hybrid that displays ultra advancement and sensory led technologies. It seems obvious that the fashionbrands need this kind of upscale twist. Be it a limited edition collection or afamous one, the brands also need to make it more appealing. Thankfully, withdigital booths, you can set up a virtual store anywhere. Asit has been discussed, the brands are making it easier for the customers tochoose things as they please. Imagine, creating a base model (for example a shoe) for your consumers. With thehelp of ultra customization, you can change the product according to yourliking. If you need a partial change, you can add a few beads, if you want some extra, you can add bows or evenembellishments. This way, every user will onlysee what they want to see. You all must be well aware of the term‘data-analytics’. The term style analytics is no different, however, it justcomes with a slightly better update. When you personalize everything (fromclothes to shoes) you’re redefining analytics. This way, it might becomechallenging at first to determine user behavior, but in the future, it will setnew trends. Especially the ones that will be centered around the user. What are your views on this? Tell us in the comments below!